3. 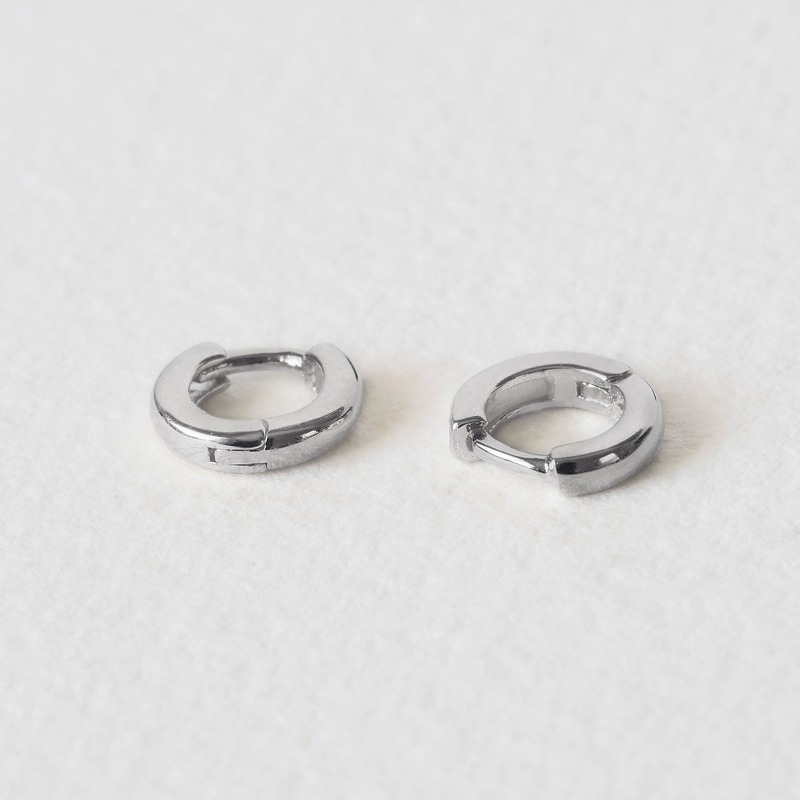 One single earring or a pair of earrings. - Three microns, 18 carat gold or rose plated on 925 sterling silver. 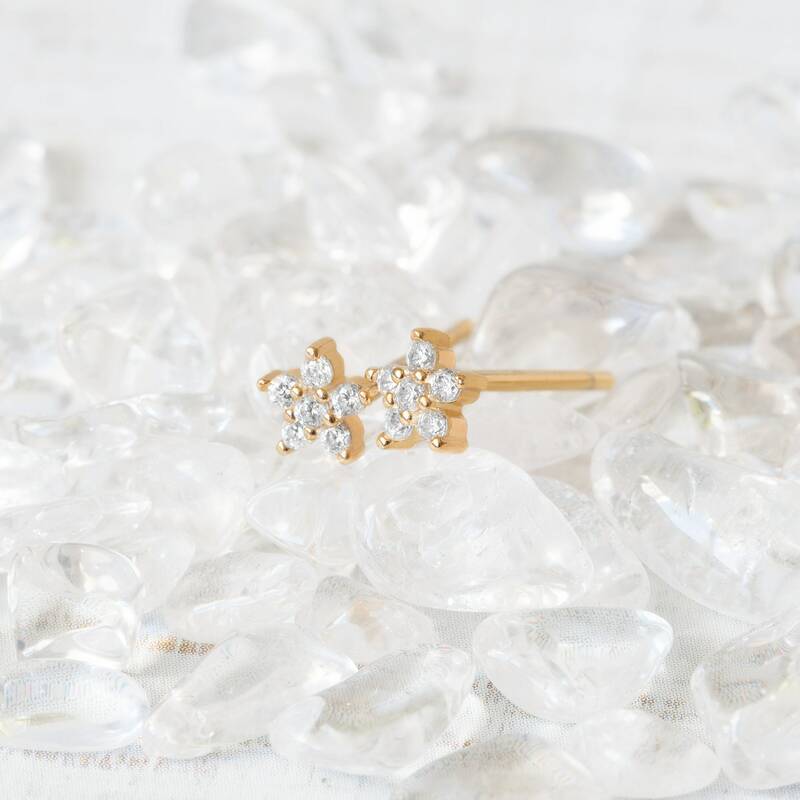 - Two microns, 18 carat gold or rose plated on 925 sterling silver. 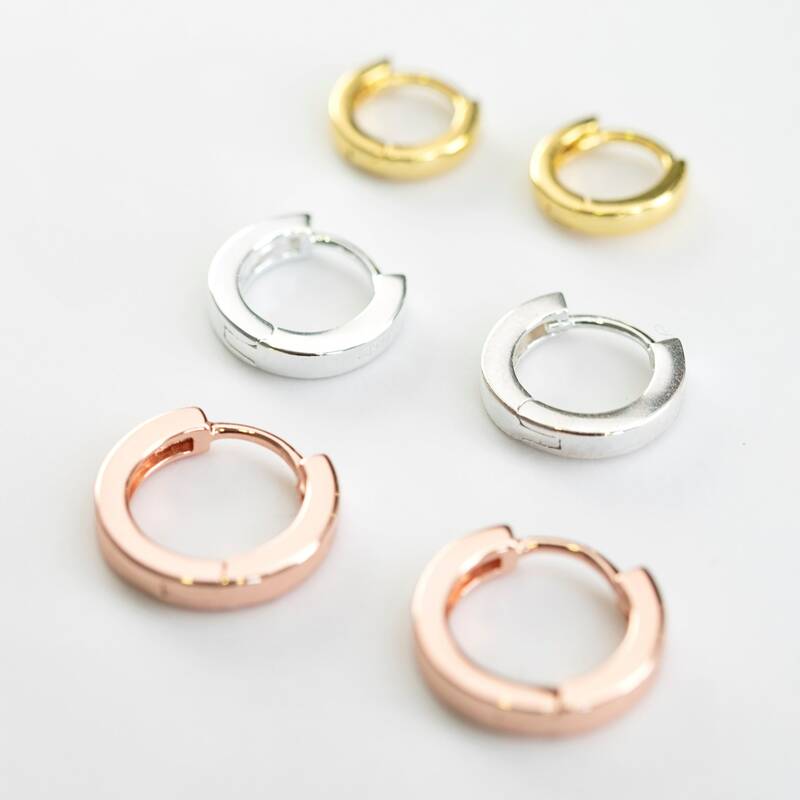 - One micron, 18 carat gold or rose plated on 925 sterling silver. 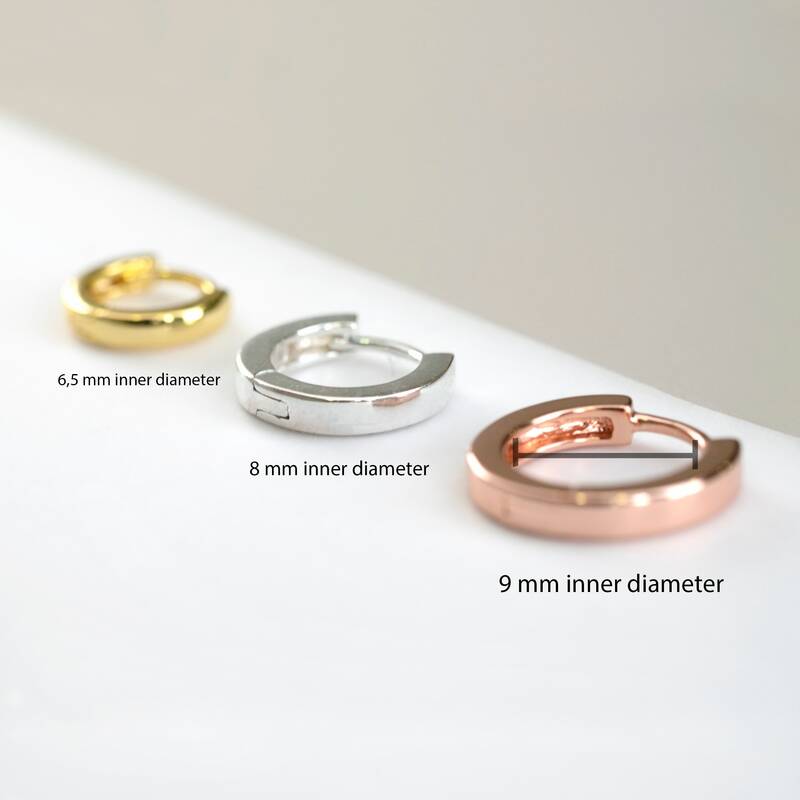 - The higher microns the higher gold plated thickness on 925 sterling silver due to the price is higher. - I personalize for you the gold microns (18 carat) you wish. - Only for jewels purchased in this shop. 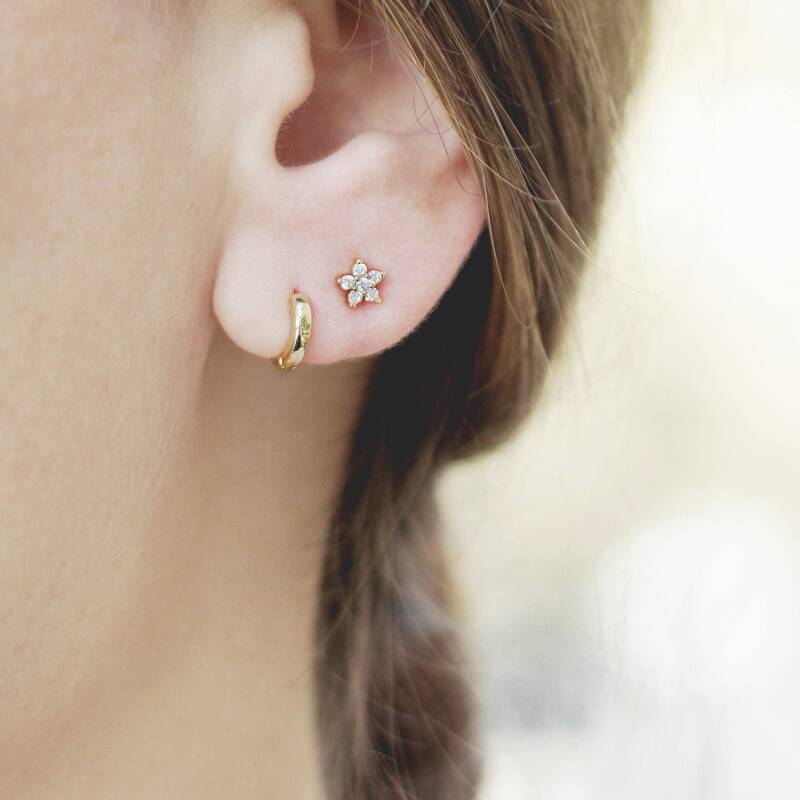 Combine the huggie earrings with other dainty earrings! 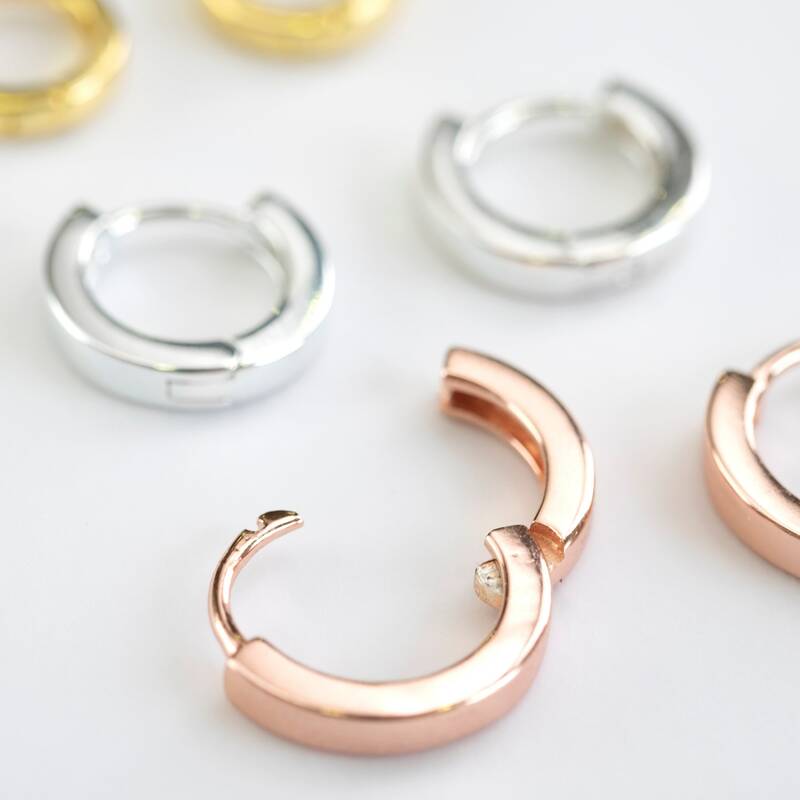 The most trendy tiny hoop earrings! Very happy with the earrings. They are beautiful. Thank you! Second purchase from Montse and couldn't be happier. These huggie hoops are the bomb. Very well made, small but deliver a serious fashion punch. THE BEST huggie hoops. Love the width, sleek rounded edges, and superior quality. Also, Montse is a delight to work with!